Welcome to the Official Website of Voxx the Psychic! The World's Most Accurate Psychic. 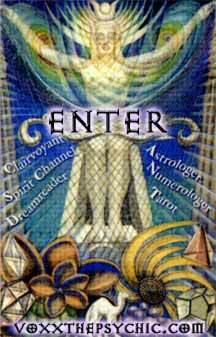 Tarot, Astrology, Numerology, Kabbalah, Spirit Channel.